Designed to replicate traditional timber box sash windows, uPVC sliding sash windows manufactured from the our Heritage system will provide you with a traditional looking sash window combined with the numerous benefits of uPVC. The heritage window system which we supply has been developed following extensive consultation with conservation bodies and as a result sliding sash windows manufactured from the system are the most distinctive and authentic-looking PVC-u sash window available on the UK market. 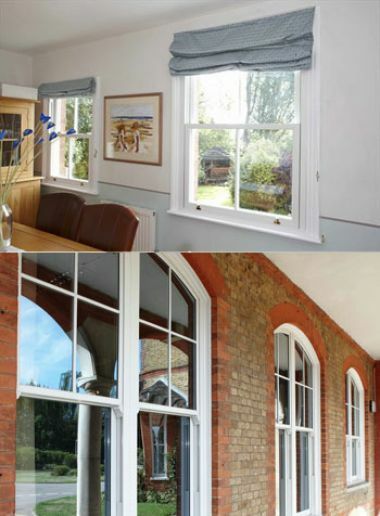 Sliding sash windows are available in a range of finishes and colours. Superbly engineered and of exceptional quality, our sash windows will add real value and style to your home without sacrificing performance. You will still experience the benefits of noise reduction, low maintenance, safety and security and energy efficiency - our Heritage system can achieve an A rating, the highest possible window energy rating (A rated windows).